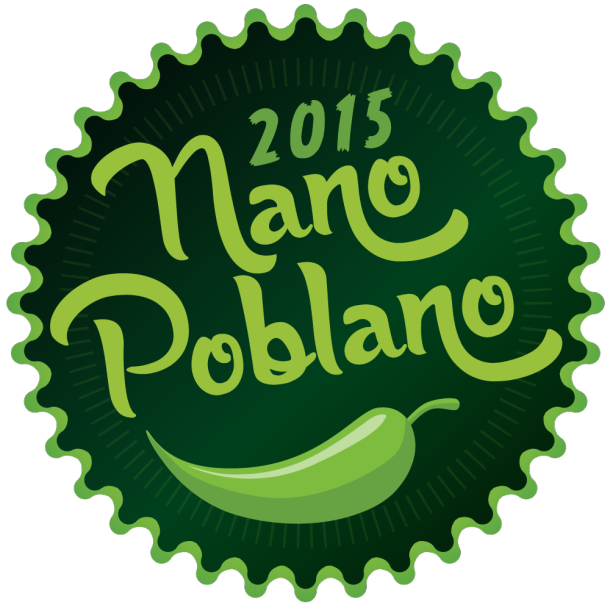 Okay, so it’s NanoPoblano or NaBloPoMo and I’m trying to avoid list-blogs. To that end, I’ve looked to The Daily Post for inspiration and found this topic, ‘Phobia Shmobia’. And really, it’s doesn’t matter what it inspires, does it? And some I can’t find a name for, like the fear of awkwardness. Why can’t it be called Awkwardphobia? Why does it have to be something-in-Latin-phobia? The interesting thing about phobias is, they’re irrational. I have a friend who’s afraid of birds. She will cross the road to avoid walking through a folk of pigeons or seagulls. You couldn’t get her into a henhouse for love nor money. She finds them unpredictable. There’s a part of my brain that laughs with its logic. It asks – what threat do they pose!? Why are they to be feared!? Then, another part of my brain reminds me that fears are irrational. To some, my fear of spiders, snakes, enclosed spaces and failure are as illogical as her fear of birds. Of course, there are ‘grades’ of everything. My fear of failure is my most debilitating fear. It’s not like I spend my life rigid with the fear of randomly confronting a spider or snake and I am still able to use an elevator without freaking out about the confined space. Logic does save me, most of the time. Things like awkwardness and failure are harder to define, but tangible fears I seem to handle okay. Which can be strange. For instance, I’m not one to take a roller coaster ride. Not because I can’t, but because of logic. I wonder why people scream when they have some idea of what to expect. Which is hilarious because it makes me sound like no fun at all. Oh my God, I’m no fun at all! It’s weird, right? I’M WEIRD! Firstly, let me clarify – I haven’t been on a OMG roller coaster ride. I live in an area where world-grade rides don’t exist so I (really) don’t know what I’m talking about. I took a local ghost ride once that was so underwhelming my friend beside me screamed just to give the cart behind us some hope. The question The Daily Post asked was – have I overcome any fears? Well, I’m blogging daily for the month of November. As a failure-fearing-monkey, that’s progress. There are those of us that have Words. And I do mean Words with a capital, in italics and bold. It’s all words, words, words and they explode out of them in groups of a thousand and they actually contain brilliance that simply lacks a French polish. This is not me. Words stumble out of me like it’s lunch time and they’re still in their pyjamas. They’re not embarrassed (but they should be) and I’m their mother, trying to make sense of their behaviour all the while feeling responsible for it. I get caught in words, fixing their hair, adjusting their clothes, match making, trying to build perfection while avoiding clichés. I’m so poorly read I could weep. Yet, I’m not willing to undo that failure with any kind of gusto. If I read four books a year, it’s a Christmas miracle. If you’re a follower of this blog, it’s well known fact I’m a slow writer and poorly read. For those with Words, it’s difficult to explain that each blog I write takes me hours, the comments I leave on a fellow’s blog can take just as long, compounded by panic – ‘is it offensive?’, ‘could I upset someone?’, ‘does it convey what I mean?’ and you have no idea how many comments I spend hours on, and then delete. This is me. Loving Words, while fearing Words. Knowing all this, NaNoWriMo is a dream, NaBloPoMo is a possibility. Please be patient, and don’t shout. Part II, see Part I here. My parents have learnt a lot about their dog since adopting her from the shelter. She couldn’t stand the smell of smoke, or any vehicle noisier than a two-stroke motorcycle. She feared the kitchen and kitchen-type noises. She feared a door that was neither open or shut. She feared feet. She didn’t understand water could be found in designated bowls. She thought a ball was a weapon rather than a toy. She didn’t know grass, sand or dirt. She didn’t know she could dig. She cowered at any hand that reached for her. My parents have learnt she loves children and will wag her backend off and/or cross traffic at the sight of one. She’s also an optimist. Despite evidence she’s been abused by the adult man of her previous life, she continues to approach men, cowering with appeasing Bambi-eyes, sometimes dragging herself along on her stomach to reach them in the hope of their approval. 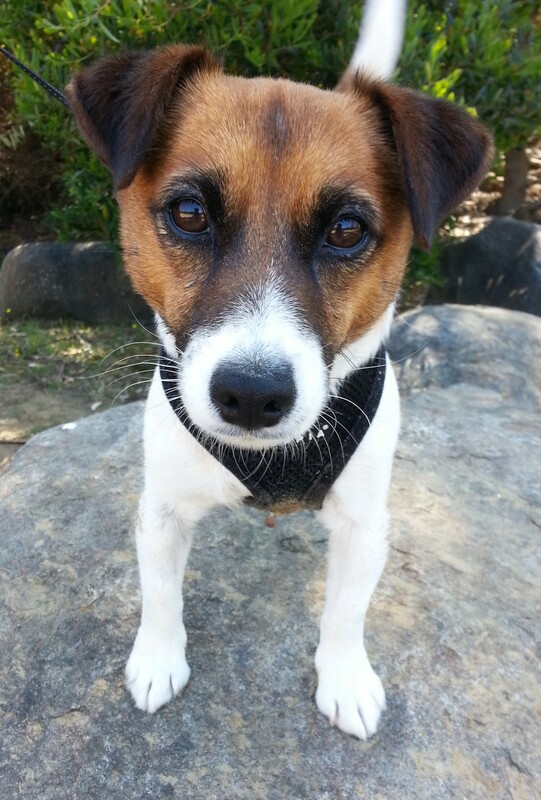 I marvel at how adaptive and forgiving dogs can be and for Little Dog, most of the fears and anxieties she exhibited in those early days have dissipated, or in some instances, disappeared altogether. This brings me to the day she was attacked by another dog. She survived, and she walks through the park where the attack took place without hesitation and continues to ignore other dogs like they don’t exist. The only thing that has changed is Little Dog gets defensive when strange dogs race up to her, even if they intend to play. They can bark or do cartwheels for all she cares so long as they keep their distance, but a fast-paced introduction leads to growling and a brief scuffle. This is compounded by my mum’s own anxiety on the issue, who’s now fearful of any dog off-lead. This would be manageable except for the surprising number of dog walkers who disrespect our wish to not engage with their dog. Even though we put our dog on lead when another approaches, it’s rarely read as a sign by them to do the same. One lady once let her dog off to meet ours. She was lovely, and the dog was lovely but that’s beside the point. By the time Mum was able to explain her concerns, the dogs had been with each other long enough to settle. Mum said it makes her feel like a over-reactive fool when she cannot prevent the exchange and then all her concerns amount to nothing. As Little Dog is calm and unreactive, I guess people assume she’s ‘okay’ and they can please themselves, but I’m certain they’d be more cautious if Mum owned a Rottweiler or a Doberman or a German Shepherd. And simply because your dog isn’t the ‘problem’ dog, doesn’t mean you should be inconsiderate of others. Here’s another perspective, in this blog post by Liz. Our dog is great with other dogs, if given the time to adjust to their presence. Please think about the dog walkers you approach – they may be one of those wonderful people who’ve adopted a ‘broken’ dog or they have a dog with a complex history. Respect that.